GoFly is catalyzing the creation of a personal flying device. We are reimagining flight, transportation, and exploration through the lens of safely and reliably soaring through the skies … and we are doing it for everyone. In fact, what we are seeking is an “everyone” personal flying device capable of being flown safely by anyone, anywhere. It is a device for all - young and old, city-dweller and country-dweller, expert and novice. We’re rethinking how humans get around in the 21st century. What is the GoFly Prize? The GoFly Prize is a $2,000,000 challenge to create a personal flying machine that is useful, safe, and thrilling. We encourage innovators from all walks of life, including hobbyists, academics, engineers, and students to submit their ideas and participate in the competition to reimagining flight, transportation, and exploration. Our team consists of a group of dreamers and engineers who saw an opportunity to create a community and a competition focused on making people fly. We have spent years building relationships with aviation experts who share our vision and who are committed to helping Teams in the official competition to make personal flight a reality. Our network includes leading aerospace organizations as well as major leaders in flight like Boeing. What was the Spark that started GoFly? Can I join the GoFly competition now? Yes, you can join the competition now. You did not have to participate in Phase I or Phase II of the competition in order to join us now. If you are interested in learning more, please contact info@goflyprize.com. What​ ​do​ ​I​ ​need​ ​to​ ​do​ ​to​ ​sign​ ​up​ ​to​ ​be​ ​a​ new Team​ ​​of​ ​GoFly? To become an official Phase III Team, innovators must complete the Phase III Agreements, which can be started by contacting info@goflyprize.com with: 1) name, 2) team name, 3) list of team members, and 4) country. Registered teams gain access to Benefits in return for completing the Master Team Agreement documents and agreeing to provide GoFly with the opportunity to take a small equity stake in the resulting company. In the meantime, if you have not already done so, please be sure to sign the Interim Agreement, which allows you to keep working on your design while you prepare the Phase II documents. Phase II and Phase III Eligibility: Among other requirements, the Competition is open to business entities that wish to compete as a team and (a) are validly formed and in existence under applicable law, (b) comply fully with all terms and conditions of the Master Team Agreement, (c) have completed the full package of required legal documents, and (d) are able to participate without violation of any third-party rights or obligations. ​Do​ ​I​ ​need​ ​to​ ​participate in ​Phase​ ​I​ or Phase II ​​in​ ​order​ ​to​ ​participate in ​the​ ​next​ ​phase? A Team does not need to participate in Phase I or Phase II in order to continue into the next round of the competition. To join us now, please email: info@goflyprize.com. Do I need to win a Phase I or Phase II Prize in order to proceed to the next phase? A Team does not need to win a previous phase prize in order to continue into the next round of the competition. GoFly believes in late bloomers, and we all know that in engineering it is often perseverance that leads to ultimate success. GoFly is offering $2,000,000 USD in total prizes over the course of the 24-month competition. This purse will be spread out over three prize phases. Phase I included ten $20K prizes awarded based on written technical specifications; Phase II will include five $50K prizes awarded to Teams with the best VTOL demonstration and revised Phase I materials; and Phase III will unveil the Grand Prize Winner, and $1,600,000 in prizes to be awarded at the Final Fly-Off in the fall of 2019. Yes, Teams will keep their intellectual property. Teams grant limited media rights to GoFly so that GoFly can publicize and promote the Competition and the Teams. Other than these media rights, any and all rights a Team has in its inventions, drawings, patents, designs, copyrights and other intellectual property remain with the Team. A full explanation of the criteria is available in the technical guidelines, which can be found here. Judges at each stage of the competition will be leaders and luminaries in the areas of expertise required for evaluating the technical capabilities and adherence to the rules of the competition. How were the Phase I winners chosen? Phase I winners were carefully selected from a highly competitive pool of over 600 entrants by a panel of 97 judges. Over the course of several weeks, our expert judges carefully evaluated each individual aspect of every submission in accordance with the official Technical Guidelines. After ensuring each entry was eligible for participation, the judging process involved several stages of evaluating the submissions, and by the time a winning submission went through the entire process, a total of at least 20 individual judges had evaluated the submission. After scoring each category individually, the judges then considered the totality of the integrated submission for overall success in building a personal flying device. How will my Team’s confidential information be protected? The information that Teams provide to GoFly as part of the Competition will only be shared with the Judging Panel and representatives of GoFly who are involved in administering the Competition. Anyone who has access to a team’s confidential information will have signed a confidentiality agreement and agreed not to share or use such confidential information, except as may be required by law. In addition, teams will not have access to any nonpublic information about other Teams or their technology or performance during the Competition. What am I supposed to be building? What the device looks like or how it works is up to the Teams. We welcome revolutionary design. While all devices must be safe, Teams have the option to fly manned or use a mannequin to simulate the user for this competition, operating the device as a remotely piloted or autonomous UAV. We are propulsion agnostic, but like all great inventions the device should be user-friendly, almost an extension of the user’s body, and provide the thrill of flight. A full listing of technical rules can be found here. Do​ ​I​ ​have​ ​to​ ​register​ ​on​ ​HeroX.com​ ​to​ ​follow​ ​the​ ​challenge,​ ​leave​ ​a​ ​comment​ ​or​ ​register​ ​to​ ​compete​ ​in the​ ​challenge? Yes, but it’s quick and easy. Just click the "Accept Challenge" button at the top of the page and follow the instructions to complete your registration. You only need to provide your name and email address to get started! Should my whole team register on HeroX.com/GoFly? Yes, all Team members should be registered on herox.com/GoFly. Team members should add a short bio to their herox.com/GoFly profile when signing up. You will have an opportunity to update your Team profile once your registration is complete. What​ ​do​ ​I​ ​need​ ​to​ ​do​ ​to​ ​sign​ ​up​ ​to​ ​be​ ​a​ ​Phase II Team​ ​​of​ ​GoFly? To become an official Phase II Team, innovators must complete the Phase II Agreements, which can be started by contacting phase2@goflyprize.com with: 1) name, 2) team name, 3) list of team members, and 4) country. What kind of support will I get during the competition? Even the best and brightest minds can use a little help sometimes. GoFly empowers innovator Teams with software, services, products, and access to experienced Mentors and Masters in design, engineering, finance, law, and marketing. Every month (and sometimes multiple times each month), Teams will have the opportunity to listen to and engage in discussions with the Masters of Aerospace and Business in global webinars. Have a couple of questions on conceptual design or configuration management? Looking for insight into cutting edge noise mitigation techniques? Trying to raise funding to support your build? Masters lectures speak to those disciplines and more. Learn from DARPA chiefs, NASA gurus, Boeing Senior Technical Fellows, and the luminaries who actually wrote the textbooks. Hear about the aerospace fundraising landscape, and take a deep dive into financing decks and pitching VCs. Learn how to protect your intellectual property from patent specialists. A list of Masters, along with their bios, can be found in the Advisors section. When one-on-one help is needed, all Teams will have access to our Mentor program, where Teams work directly with Mentors in their specific areas of need. Operationally, the Mentor program is organized so that Teams contact GoFly to request a Mentor within a particular discipline. Upon contact, that Team will be matched with a Mentor (or multiple mentors) in that area. During these Mentor sessions, a Team works directly with the Mentor to answer the Team’s specific questions related to their technical build (or financing, or corporate documents, etc.). This is one-on-one support for the Teams, geared to the precise needs of each Team. GoFly believes that providing this type of support is the best way to help aspiring inventors all over the world create the kind of ground-breaking devices that the Competition seeks. Additionally, all Teams who participate in the Phase II Building Phase and who continue to remain active competitors will have access to hundreds of thousands of dollars in mentoring, software, products, services, media, and discounts, including but not limited to our GoFly In-Kind sponsor program. A list of all benefits can be found in the Benefits section. A list of current Masters and Mentors can be found under the Advisors tab. What do I need to do to submit to Phase II and III of GoFly? Phase II and III Teams must participate as corporate entities. Should you have any questions, please contact phase3@goflyprize.com. Under no circumstances should any off-paperwork, building or testing take place before a Team is officially admitted into Phase II and III of the GoFly Prize. Should any work be done off-paper before being officially accepted into Phase II and III in contravention of the foregoing, such work is done entirely outside the scope of the GoFly Prize. There are no GoFly Phase II or Phase III registration fees. An overview of the competition timeline is available here, and a detailed description of the schedule and deliverables can be found in the Guidelines. Can a student who interns at Boeing participate in the GoFly Prize? Students may not compete while they are interning at Boeing (during their active employment), or if they are on administrative leave in between two internships at Boeing. When and where are the flight readiness reviews? Flight readiness reviews will be scheduled with each team individually at a mutually convenient date and time. The review must be held at least 15 days prior to the Fly-Off. Flight readiness reviews will be conducted virtually. Where will the Fly-Off be held? What facilities will be available at the Fly-Off? The location of the final Fly-Off is still being determined, but it will be held in the United States. The specific Fly-Off location, date, and other details will be announced no later than May 1, 2019. Will GoFly cover travel expenses to the Fly-Off? Teams are responsible for their own expenses. Do I have to meet all thresholds to win a Fly-Off prize? Yes. Once you have made it to the Fly-Off phase, you must meet all thresholds to be compliant and eligible to win a Fly-Off prize. The only exception is the $100,000 The Pratt & Whitney Disruptor Award, awarded for disruptive advancement of the state of the art, which is a subjective prize. Do all elements of the Flight Demonstration have to be shown in a single flight? Yes. The entirety must be repeated for a failed attempt. Will we be required to demonstrate a 20 mile range? GoFly has designed the single flight profile required in the Fly-Off such that devices capable of completing it will also be capable of achieving useful range. An explicit demonstration of maximum range is not required. How far and how fast must we fly at the fly-off? The speed will be calculated as 6 nmi divided by the time to complete 6 laps around two pylons spaced 0.5 nmi apart. The actual flight path length will not be not used. The 6 laps must be flown in under 12 minutes to meet the speed threshold (6 nmi / 0.2 hours = 30 kts). Can you provide more details about how sensors will be mounted for the noise measurement? Small details can make a big difference in noise measurement. GoFly will provide more information once the final Fly-Off location is set, at which time we will provide enough information such that Teams can make their own measurements during testing with reasonable confidence. How are the takeoff/landing envelope bricks arranged? Bricks will be stood upright approximately every 24 inches to rest on the 2” x 8” side such that the broad side is facing the center of the takeoff/landing zone. With the caveat that the fly-off site is yet to be determined, GoFly will seek to install bricks such that they will tip over and not slide. Sponsorship includes monetary sponsorship, naming sponsorship, logo sponsorship, in-kind sponsorship, and a variety of other sponsorship activities. If my sponsor request is denied, am I still allowed to compete? Yes. The innovator/team is still allowed to compete in the GoFly Prize, however the innovator/team may not be sponsored by the denied sponsor. Will we be penalized for sub scale versus full scale testing in our Phase II submission? When validating aspects of the design, subscale models are more affordable and more timely than full scale ones, but the scale must be sufficiently large to adequately represent the relevant issues. There is no explicit scoring penalty for sub scale versus full scale testing, and teams should build and test at a scale that is the best balanced choice for their project on their path to the fly-off. Will I be able to see how the judges scored my Phase II submission? Neither Judges’ scoring nor ranking will be provided, however as in Phase II, a Reviewer will provide feedback for all Phase III Teams on your Phase II submission. Does my design have to meet all requirements to win a Phase II prize? No. Complying with each and every requirement is necessary to win the three largest prizes at the fly-off. However, we know that on your journey to get to the fly-off there are likely to be some issues with your design and kinks to iron out, and your design may not be fully compliant yet. Teams that openly acknowledge any shortcomings at this phase are still eligible for Phase II prizes. How do I get an invitation to the Final Fly Off? 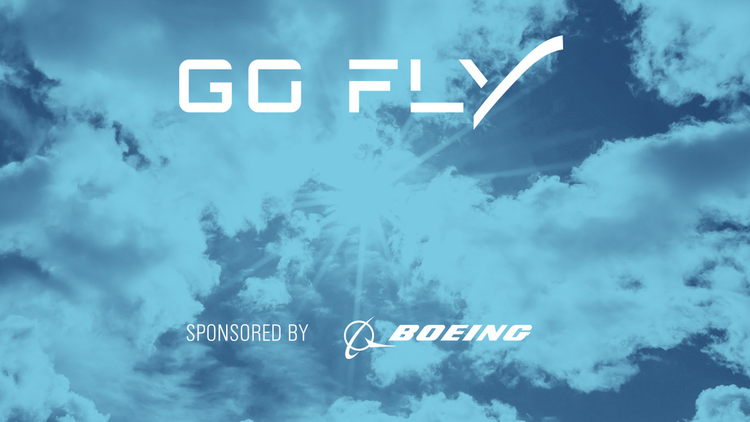 GoFly will issue invitations to the Final Fly Off based upon Teams meeting Phase II submission requirements, Phase III document requirements, and adherence to all GoFly Agreements and Rules. Invitations will be issued in the sole discretion of GoFly. Please keep in mind the pre-fly-off requirements such as the prior flight minimums and the flight readiness review. What is the Disruptor Award? The Pratt & Whitney Disruptor Award is given for disruptive advancement of the state of the art in the GoFly competition. Through the Disruptor Award, Pratt & Whitney will recognize groundbreaking ideas, awarding originality and innovation in their purest sense. Any Team in the Final Fly Off is eligible to with the Disruptor Award. As a leader in flight and innovation for more than 90 years, Pratt & Whitney is an exciting addition to the GoFly family. Is the Disruptor Award the same award as before, or something new? This is the same $100,000 Final Fly-Off Award, but it is now being sponsored by Pratt & Whitney. Through the Disruptor Award, Pratt & Whitney will recognize groundbreaking ideas, awarding originality and innovation in their purest sense. Additionally, as a sponsor, Pratt & Whitney will support the GoFly’s Masters & Mentors program by providing mentors and lecturers to help GoFly Teams around the world develop the future of flight. If you have a question not answered in the FAQ, or not included in the public guidelines, we recommend that you email us at info@goflyprize.com. Someone will respond to you within 24 business hours.